Largest Demand-Side #NativeAdvertising Platform. 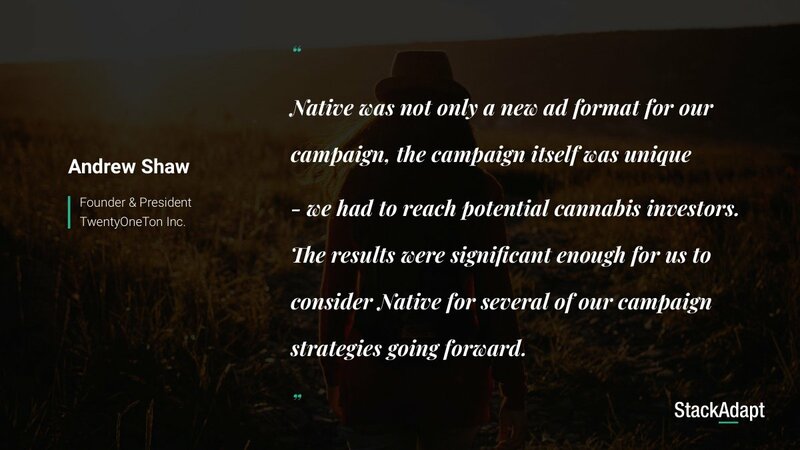 We help brands amplify #content across every native ad exchange. This was first presented at the October 2018 MarketingTO. In this presentation, Eli demos StackAdapt: software that saves you time and simplifies the process of buying advertising online. Our 2018 product roadmap includes a host of new features that make StackAdapt smarter, faster, and more customizable than ever before. Awards StackAdapt won in 2017 include the #1 Highest Ranking DSP on G2Crowd, Deloitte Technology Fast 50, and more! StackAwards are presented to the highest performing, most innovative and creative StackAdapt campaigns of 2017. Congratulations to this year's winners! This week, several startups have made announcements launching new features and partnerships. Keeping an objective view of every candidate is integral to a successful recruitment process. That's why StackAdapt has launched Unbiasify. StackAdapt debuts in the STARTUP 50, a list of Canada's top growing companies. We're proud to announce that StackAdapt has been ranked one of the top 20 innovative companies in Canada by the Canadian Innovation Exchange (CIX). StackAdapt research, in partnership with Leger 360, quantifies how consumers buy on mobile in 2017. Click to check out the infographic! Why Nudge.ai? Reach out to the decision makers at StackAdapt with a personalized email - let them know that you found their recent news mention interesting. Nudge.ai’s relationship intelligence platform can help you find the right executive to reach out to at StackAdapt, such as Ildar Shar, Co-Founder, or Alexandra Voyevodina, Financial Controller. Then get in touch and start a conversation. Executives can be difficult to reach, but every company has connectors who bring together people and ideas. At StackAdapt, people like Vikram Kandeth, and Ildar Shar are likely connectors. When StackAdapt is mentioned in the news, Nudge.ai often sees topics like Marketing, and Money. If your conversation focuses on these topics, you’ll probably get StackAdapt’s attention. When StackAdapt is mentioned in the news, companies such as Powerinbox, Sephora, and Instagram are often also mentioned. These companies can serve as customer examples. Employees who are often in the news are usually open to starting conversations or exploring ideas. Nudge.ai's sales AI saw Ildar Shar, Yang Han, and Michelle Hart from StackAdapt recently mentioned in the news. RBC's latest FutureMakers event gathered tech leaders to share lessons learned in scaling a positive management culture. 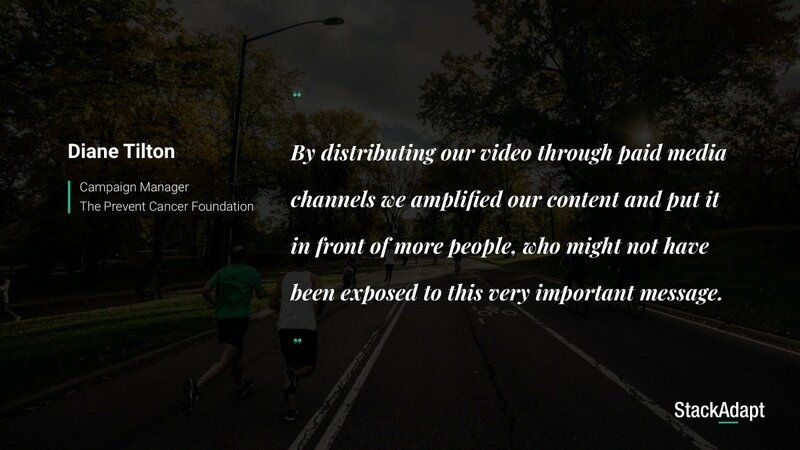 Attention marketers and advertisers! Follow this expert advice to ensure your next digital ad campaign hits your intended KPIs. Vitaly Pecherskiy interviews Elena Armstrong, co-founder and COO of Exact Media. Adtech isn’t going anywhere. If we want programmatic to improve, we've got to amp up our collective education. Here are 5 key resources to get you started. Who in your network can introduce you to StackAdapt? Nudge.ai finds the best pathway to reach contacts at this company.